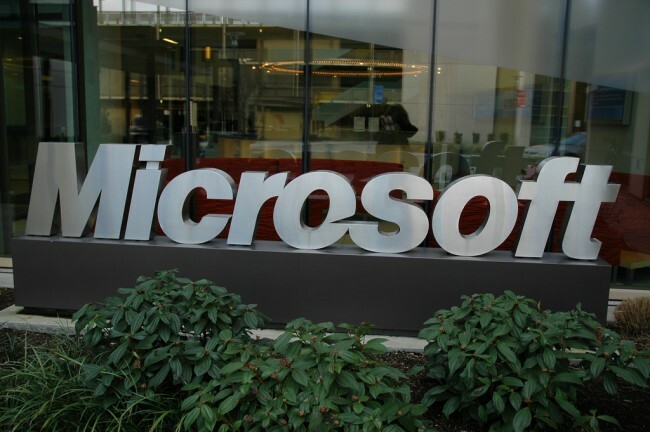 Microsoft Corporation, intended $320 million acquisition of an Israeli cloud security firm, Adallom, may expose it to serious cyber threats, analysts have suggested. The Corporation, is believed to have signed a letter of intent to purchase the Israeli cyber security start up for, “quite a few hundred million dollars,” in July this year. While this might expand the Microsoft cyber territory it is feared that the Corporation might be prone to data breaches. Adallom, whose headquarters are in California, largely carries out its software research and development in Israel. The company provides, “a cloud auditing service that continually monitors cloud apps in order to pinpoint and prevent suspicious behavior.” This is achieved through the use of a, “proprietary heuristics engine,” together with threat analysis from Adallom’s internal team of security researchers. It is also known as a cloud access broker (CASB) that offers a, “cloud security gateway between enterprise customers and cloud applications.” This allows the Israeli firm to provide not only policy but also compliance protocols in employee usage of cloud apps. Although the firm is well respected for its deep understanding of cloud cyber security, analysts believe that this acquisition will not make Microsoft immune to cyber threats. One source, an expert in cloud security, speaking on condition of anonymity, suggested that Microsoft might not have done a thorough background check before showing their interest. Of concern, is the fact that, the Founders of the cloud security and management firm are all former Israelis Intelligence Corps. The CEO, Adam Rappapot and his vice president of research and development all hail from the Israel Defense Forces. According to the source, this might expose Microsoft Corporation to a political risk since Adallom’s research and development activities are entirely based in Tel Aviv, Israel. “Microsoft Corporation’s cloud resource might not be prone to external breaches, but chances are it can be vulnerable to a malicious insider,” said the Cloud Security Assessment expert. “Given the jurisdictional issues involved there is also an overwhelming probability that Microsoft Corporation may be exposed to shared technology vulnerabilities,” he added referring to the fact that Adallom might still continue with software development and innovation in Israel after the expected buy-out. Microsoft is again reminded of the recent breaches at Ashley Madison which, according to reports, are largely believed to have been caused by a disgruntled employee. Whilst Microsoft track record against data breaches is recommendable, analysts and experts still believe that the potential deal with the Israeli firm is a cyber-threat that needs to be approached with caution. However, Andrew Plato, the president of Anitian which is a security consultancy, believes otherwise. “Microsoft Corporation acquisition is logical and fits with its ongoing efforts to boost security in its cloud services. It wants to position Azure as the sensible business cloud service with integrated security so that they do not lag behind Amazon Web Services,” he elaborated to CRN, a Technology news outlet. He also added that Microsoft Corporation upgraded its Advanced Threat Analytics Software which uses heuristics and file analysis in May this year, and as such it cannot be attacked even from within. There are also indications that Adallom’s has strong technological alliances with Google, Amazon Web Services and Hewlett Packard which, according to some analyst should never be a cause of concern for Microsoft Corporation. With this divided opinion, we wait to see how the deal with the Israeli firm will pose a cyber-threat to Microsoft Corporation. CRN: Microsoft Adds Cloud Security Talent With $320 Million Acquisition Of Startup Adallom. Top and Featured Image Courtesy Of Wonderlane’s Flickr Page: Creative Commons License. 2 Responses to "Microsoft Corporation Deal With Israeli Firm Poses Cyber Threats"
Agree. A really poorly written article full off unsubstantiated innuendo. Why would anyone quote someone who feels the need to be anonymous? This site must have very low standards! Misinformed, poorly written and politically biased. Mr. Mutsvara should at least try to support his claims otherwise he sounds jealous Israeli high tech firms are so succesful.